and transformed their time-to-hire success rate. 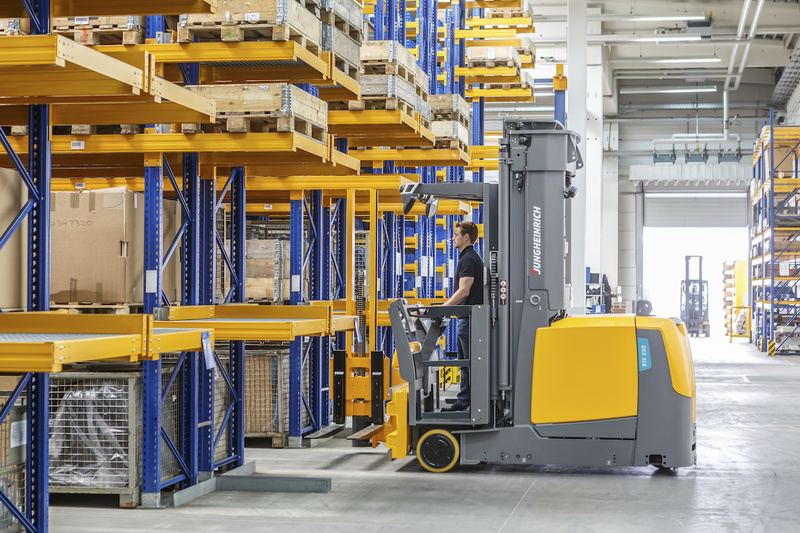 As one of the world’s leading companies in forklifts, intralogistics and material flow engineering, Jungheinrich suffered the typical challenges faced by many well-established giants within the industrial and mechanical engineering sectors. Their recruitment costs were spiraling and their time to hire was excessive due to the high volume of unqualified applications and multiple agencies they had on their roster. The HR Director was wrestling with admin, which was taking focus away from important business issues. The HRD was dealing with 40-60 job applications for one position, and agencies were used for 98% of all hires. For every 22 CVs, they would make one placement, which resulted in a staggeringly long hiring time of 3.5 months per vacancy. As a solution-focused organization, they knew they needed to improve and streamline their recruitment process to meet the 2020 agenda and the growing demands of their sector. Our priority was to establish an internal team at Jungheinrich to reduce their dependency on external recruitment agencies, and increase their percentage of direct hires. We installed a strong team of experienced recruitment specialists, each with an in-depth understanding of the technical engineering sector, and a solid appreciation of the culture and objectives of Jungheinrich. With a Recruitment Manager, Senior Delivery Consultant and Delivery Consultant permanently stationed within the company, the internal team was then able to create a new recruitment framework that transformed how the company recruited directly. We created an online careers page on the company website, showcasing how Jungheinrich was an attractive employer. Role profiles and adverts were strengthened to ensure CVs were relevant and of a high standard. Interview frameworks were put in place and a new candidate experience was designed to build Jungheinrich’s employment brand further, to ensure top talent was nurtured throughout the recruitment process. In year 1, we reduced Jungheinrich’s recruitment spend by 70%, resulting in massive savings. Hiring time was reduced from 3.5 months to 16 days, with placements being made after seeing 3.5 CVs instead of 22. Direct hires now account for 100% of all placements instead of 2%. They no longer use external agencies at all and use an internal recruitment team only. As of February 2017, they are now filling 1 position every 1.6 days. If you’re looking for ways to ramp up recruitment and reduce costs, contact Stuart White at Provide People.